Documentary series about the South Pacific islands. A look at how every one of the 20,000 islands was colonised by the Polynesians, and at the varied local fauna. 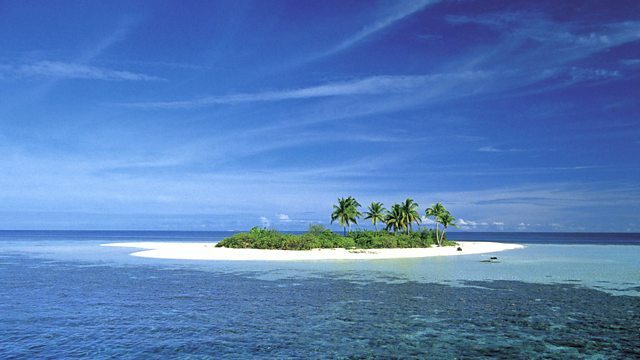 In the South Pacific there is no such thing as a deserted island. They may be the most isolated in the world, but every one of the region's 20,000 islands has been colonised, from New Guinea - home to birds of paradise and the tribe whose brutal initiation ceremony turns young warriors into 'crocodile' men - to Fiji, French Polynesia and Hawaii. This is the story of the ultimate castaways - from saltwater crocodiles and giant eels to crested iguanas and weird frogs - who succeeded against all odds to reach islands thousands of miles apart. These journeys are no mean feat. It has been estimated that an average of one species in every 60,000 years makes it to Hawaii. Incredibly, many of these colonisers made it to the islands thanks to some of the most violent forces of nature like cyclones and tsunamis. The voyages of the South Pacific's first people - the Polynesians - were no less remarkable. These journeys were some of the greatest acts of navigation ever undertaken, and they changed the nature of the South Pacific forever.